Mexican Oregano (lippia graveolens). Also called Puerto Rican Oregano. 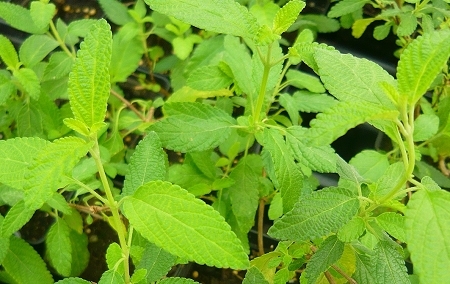 Used throughout Mexico and the southern states as a culinary herb in place of regular oregano. Takes heat and drought conditions well. In the verbena family, it has small white flowers when in bloom and will grow into a tall shrubby bush when planted in the ground in temperate climates. Cannot be shipped safely during very cold weather. Perennial zones 9-11. Live plant in 3 inch container.